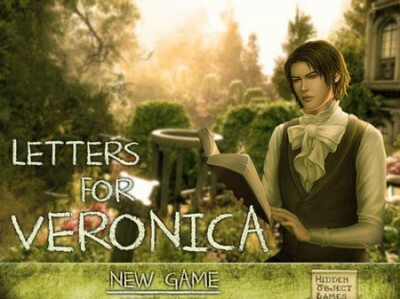 Letters for Veronica. Games online. This guy wants to take his beloved Veronica out on a date. He wants everything to be perfect so he has to buy flowers, chocolates and lovely earrings. He also wants to write a letter expressing his love for her. Help him buy all the presents and write the letter by finding the hidden objects listed at the bottom of the screen.